The Braves had Friday, October 27, off before facing the Indians in Game 6 the next day. Instead of a quiet off day preparing for Game 6, the Braves players and management faced a firestorm ignited by David Justice. While waiting to take batting practice, Justice told reporters that Atlanta’s fans were not very passionate and would probably boo the team if it trailed Cleveland the next night. He exacerbated the situation when he suggested that other Braves players felt the same way and that they were playing the Series for themselves, not the Braves fans. With this information in the Saturday Atlanta Journal-Constitution, many Braves fans came to Game 6 at Atlanta-Fulton Stadium ready to reply in some fashion to Justice’s comments. Justice’s comments were not foremost in Tom Glavine’s, the Game 6 starting pitcher, thoughts. As he rode with Greg Maddux back to their North Atlanta subdivision after Friday’s work out, the topic of conversation focused on the game. Glavine recounted Leo Mazzone’s remarks from Steve Avery that the Indians could not hit his change-up and never made adjustments in Game 4. Glavine asked Maddux what adjustment the Indians made against him in Game 5. Maddux told Glavine that the Indians had not made any adjustments and the reason the Indians won the game was because he could not consistently locate his pitches. Maddux told Glavine not to change anything and that he would beat the Indians. Maddux added that “the guy who should be the winning pitcher when the Atlanta Braves win the championship will be out there.” (Glavine, 1996, p. 11) Glavine stated that those comments afforded him a large dose of confidence. On game day, Glavine arrived at the stadium around 2:30 and began to dress at his locker. Being a bit superstitious Glavine had several items in his locker that had not moved since he put them there in 1991—a Bart Simpson doll (Glavine enjoys his humor), a four-leaf clover pressed in waxed paper, and a trophy (he always liked the look of trophies). According to Glavine, his other superstitions included chewing a piece of Bazooka sugarless bubble gum every time he pitched (he also kept an extra piece in his back left-hand pocket) and never stepping on the foul lines when taking the field. As the clock moved closer to game time, the Braves confidently warmed up on the field. Glavine claimed that his throwing session in the bullpen before the game was nothing special and had no idea how effective his pitches would be during the game. Mazzone told him that his pitches looked good, but that did not satisfy Glavine. Glavine remembered prior bullpen sessions when he thought they went terribly but he pitched shutouts and other sessions when he thought he was primed for a great game only to be hit unmercifully. He was certain of one thing: this bullpen session was better than Game 2’s session. Glavine took the mound and began his pregame ritual of re-adjusting the dirt to find his comfort spot for his plant foot. While working the mound, he looked up in the stands and sensed the crowd’s excitement. Glavine quickly mused that Justice’s comments may have indeed had an effect on the fans’ collective level of passion. As he toed the rubber for the first pitch, he told himself to establish a good rhythm and get out of the first inning, something that had been a problem for him in his career. Glavine began almost immediately to locate his change-up and induced Kenny Lofton to fly out to right field. With the pesky Lofton off the bases, Glavine relaxed and began to settle in. He proceeded to strike out Omar Vizquel and got Carlos Baerga to hit an easy ground ball to him that would end the inning. Glavine had not only achieved his goal of getting through the first inning unscathed but looked masterful in doing so. The Indians were in trouble. After the first two innings, the Cleveland hitters began to move up in the batter’s box and on top of home plate. Glavine mentioned this to Mazzone and suggested that he should start pitching inside to the hitters. Mazzone countered. The veteran pitching coach told Glavine that when the hitter moves up in the box or on top of the plate that does not change his vision. He said to Glavine that he could pitch inside or that he could pitch farther and farther off of the plate to see if the hitters would continue to adjust to that. Mazzone reasoned that if Glavine threw the ball six to eight inches off the plate and the hitters made solid contact then Glavine would have to pitch inside to keep the down and away pitch as a viable option. Glavine decided to make pitches farther and farther outside. The Cleveland hitters adjusted accordingly but still couldn’t hit Glavine. The majority of the hitters could only get the end of the bat on the ball, which resulted in easy outs. Mazzone counted a dozen times that Glavine went inside during the course of the game. Glavine’s ability to change speeds with his pitches and locate them where he wanted made him almost unhittable. After walking into the dugout after an inning in the middle of the game Glavine had this outburst, “Will somebody please score a damned run? Because they’re not.” (Freeman 2003, p. 79). Through five innings, the Indians did not have a hit. The Braves had good opportunities to push across a run or more in the fourth and fifth innings against Cleveland starter Dennis Martinez. Atlanta had the bases loaded in the fourth with two outs but Rafael Belliard flied out to center field to end the inning. In the fifth, the Braves had runners at first and second with two outs when Cleveland manager Mike Hargrove replaced Martinez with Jim Poole in order to face Fred McGriff. Poole struck out McGriff to close out the inning. In the sixth inning, Glavine gave up his only hit, a leadoff single to Tony Pena, but kept Cleveland from scoring. David Justice led off the bottom of the sixth to a chorus of boos. In two previous at bats Justice had walked and doubled, certainly doing his part to put the Braves on the scoreboard and mitigate the fan animosity he caused because of his comments the previous day. On a 1-1 count, Justice launched Poole’s third pitch into the right field seats to give Atlanta a 1-0 lead. Pandemonium erupted in the stands as Justice circled the bases, and at least for the moment, Justice and the fans had a love affair that rivaled that of Antony and Cleopatra, Napoleon and Josephine, Humphrey Bogart and Lauren Bacall… well, you get the picture. And so they did. Amid fans hugging other fans, Ted Turner kissing Jane Fonda, and general ecstasy throughout, the players piled on one another near the mound. After three World Series attempts, the Braves had achieved something that no other major sports franchise had ever done in Atlanta (and hasn’t done since)—they won a championship. After the last out, Mazzone remained in the dugout, taking it all in. He didn’t scream. He didn’t holler. He didn’t burst out in song. He didn’t rock. He just sat there in quiet satisfaction. Later in the clubhouse, with a champagne bottle in hand, a reporter asked Mazzone about his pitching staff: “I’m just so proud I could start crying right here and now.” (Rosenberg 1995, p. 159) Many of the Braves fans in Atlanta and across the country did just that—cried. So many years of bad baseball. Close calls against Minnesota and Toronto. Pent up frustration. All washed away in the glory of a World Series title. Two days later, thousands of fans lined Peachtree Street to honor their heroes. Players and coaches rode on firetrucks in a parade that had been 30 years in the making. The Atlanta Braves…World Series Champions! Oh, but to hear those words again! Freeman, Scott and Mazzone, Leo. Tales from the Braves Mound. Sports Publishing L.L.C., 2003. Glavine, Tom and Cafardo, Nick. None but the Braves. New York, New York: HarperCollins Publishers, www.sportspublishingllc.com, 1996. Rosenberg, I.J. Bravo! The Inside Story of the Atlanta Braves’ 1995 World Series Championship. Marietta, GA: Longstreet Press, 1995. For Braves management, players, and fans, the third trip to the World Series in five years had to be the charm. The Braves lost a hard fought Series to the Minnesota Twins in 1991 as the Twins won Game 7 in Minneapolis, 1-0 in ten innings. Again in 1992, Atlanta battled the Blue Jays but lost four games to two. Atlanta suffered four one-run losses. This time, the potent pitching of the Braves faced off against the explosive offense of the Cleveland Indians. Cleveland finished the regular season 100-44, winning their division by 30 games over the second place Kansas City Royals. The Indians led the American League in batting, runs, base hits, and stolen bases. They had eight .300 hitters in their starting lineup. They swept the Boston Red Sox in their Divisional Series and beat the Seattle Mariners 4 games to 2 in their Championship Series. However, the Cleveland Indians had never faced such a dominant pitching staff as that of the Atlanta Braves. The old baseball adage of great pitching beats great hitting proved true once more. The Braves won the first two games in Atlanta, but both were close. The key to beating the Indians, according to Leo Mazzone, was to keep speedster Kenny Lofton off the bases. Lofton hit .310 for the season, led the American League with 54 stolen bases, and scored 93 runs. Clearly, Lofton was the catalyst for the Cleveland offense. Greg Maddux took the mound for Game 1 against Cleveland ace Orel Hershiser. In the top of the first Lofton led off the game with a ground ball to Braves shortstop Rafael Belliard who could not field it cleanly. Lofton reached base safely and gave immediate credence to Mazzone’s comment. Lofton stole second and third and scored the Indians’ first run on a Carlos Baerga ground out to short. Cleveland led 1-0 without the benefit of a hit. Mazzone could be seen in the dugout with his head in a trash can. Fred McGriff evened the score in the bottom of the second with a long home run over the right center-field wall. Some color quickly came back to Mazzone’s face. The score remained knotted at one until the bottom of the seventh inning. Hershiser walked McGriff and David Justice to start the inning. Cleveland manager Mike Hargrove brought Paul Assenmacher in from the bullpen to replace Hershiser and he promptly walked Mike Devereaux. Hargrove replaced Assenmacher with Julian Tavarez and Braves manager Bobby Cox countered by pinch hitting Luis Polonia for Charlie O’Brien. Polonia hit into a fielder’s choice to short and McGriff scored from third to give the Braves a 2-1 lead. Belliard followed with a perfect suicide squeeze bunt that drove in Justice for a 3-1 lead. Cameras caught what looked like a quick smile from Mazzone. A radar gun registered Mazzone’s rocking at close to 30 mph. Trainer Dave Pursley desperately looked for some kind of restraint. Leading 3-1 going to the bottom of the ninth inning, Cox chose to let Maddux finish the game. He had thrown less than 90 pitches and had relinquished just two singles and the unearned run to Lofton. Maddux induced Paul Sorrento to ground out to second before Lofton hit a hard single to left field. At this point, Mazzone was overheard singing “Don’t Rock the Boat” by the Hues Corporation while teetering on the edge of the dugout bench. The next Cleveland hitter, Omar Vizquel, grounded to second for the second out but Lofton raced to third and scored on a throwing error by McGriff. With two outs and Mazzone muttering something unintelligible while rolling on the dugout floor, Maddux completed his 95-pitch gem by coaxing a foul out from Baerga. The Braves took Game 1, 3-2. Game 2 matched Tom Glavine against Dennis Martinez. Glavine had not pitched in ten days and by his own admission was a little rusty. In the top of the second inning Glavine gave up a lead off single to Albert Belle and then watched Eddie Murray crush his next pitch over the left field wall for a 2-0 Cleveland lead. Mazzone’s rocking started slowly but hit another gear. He began to slow down after the Braves tied the game in the bottom of the third inning. In the third, Martinez hit Marquis Grissom and Mark Lemke followed with a line drive single to begin the inning. Grissom reached third when Martinez threw the ball away trying to pick off Grissom at second. Chipper Jones followed with a deep fly ball to left field that allowed Grissom to tag and score. Two batters later, David Justice hit a soft fly ball to right center field that fell for a hit, enabling Lemke to score the tying run. Glavine and Martinez kept the game tied until the bottom of the sixth. Glavine escaped jams in the fourth and fifth innings that caused Mazzone to use a paper bag to stop hyperventilating. Dave Pursley put Grady Hospital on notice. Justice led off the bottom of the sixth inning with a single to left field but reached second base when Belle misplayed it. Ryan Klesko then moved Justice to third base with a ground out to the right side of the infield. With one out, Javy Lopez stepped to the plate. In his book Behind the Plate: A Catcher’s View of the Braves Dynasty, (Triumph Books: Chicago, IL, 2012), Lopez stated that he desperately wanted to drive in Justice with the go ahead run but believed Martinez would walk him to set up the double play with light-hitting Belliard on deck. According to Lopez, he was surprised when Martinez attacked him with good pitches to begin the at-bat. Determined to get a hit, Lopez fouled off pitches that were outside of the strike zone. With the count 1-2, Martinez threw a pitch outside, inches off the plate, and Lopez hit it hard to center field. Lopez hoped for a double and was running hard. However, he got more than a double. The ball cleared the fence giving the Braves a 4-2 lead. Mazzone began rocking and singing a modified version of “Brick House’ by the Commodores. Greg McMichael came in for Glavine in the top of the seventh inning and dispatched the first two Indians batters with relative ease. Then Lofton came to bat. He promptly singled to right field then stole second base. On a fly ball from Omar Vizquel that Mike Devereaux misplayed in left field, Lofton scored to cut the Braves lead to one. Sirens could be heard approaching Atlanta-Fulton County stadium. McMichael then walked Baerga and wild pitched both he and Vizquel up one base. Paramedics were racing to the Braves dugout as Mazzone’s face seemed to change to something close to navy blue. Alejandro Pena replaced McMichael. Up stepped power-hitter Albert Belle. On a 0-2 pitch, Pena induced Belle to hit a pop fly behind the plate that Lopez smothered to end the inning. The color in Mazzone’s face returned to normal after taking something from the paradmedics. While waiting for the Braves to come to bat, Mazzone turned to each paramedic sitting beside him and asked them what they thought the meaning of life was. The Braves could not score in their half of the seventh and Pena trotted out to the mound to begin the eighth inning. Pena got Murray to fly out to left but Manny Ramirez then singled on a fly ball that just eluded the Braves infielders. Jim Thome strided to the plate for Cleveland and Mazzone seemed to be trying to catch imaginary butterflies as the paramedics looked on. On a 3-2 count, Lopez picked off Ramirez at first for the second out. Pena then walked Thome before giving way to Mark Wohlers. Wohlers coaxed Sorrento to fly out to Grissom for the final out of the inning, and Mazzone began to giggle uncontrollably. The Braves went quietly in the bottom of the eight before Wohlers closed out the game in the ninth. The Braves held on for a 4-3 win and a 2-0 lead in the Series. After the game, people thought they heard Mazzone tell the paramedics that he loved them. Now the Series would shift to frigid Cleveland for the next three game and tighten considerably! After Fred McGriff and Greg Maddux returned from the All-Star game in Arlington, Texas, the second half of the magical 1995 season took off. The Braves were hotter than an Atlanta summer during the last few months of the season, winning almost two-thirds of their final 84 games. They posted a 20-8 record in July, 19-9 record in August, and cruised into the post season with a 16-12 record in September and October. Trades in August for Mike Devereaux and Luis Polonia strengthened the bench for the stretch run and the playoffs. 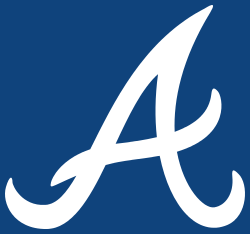 The Braves clinched the division title on September 13 with a 9-7 victory over the Colorado Rockies in Denver. Atlanta jumped out to a three-run lead in the second inning and never looked back. The Rockies scored four runs in the bottom of the ninth off of Mark Wohlers to give the Braves a scare and make the game seem closer than it really was. Jeff Blauser and Fred McGriff were two of the hitting stars. Blauser launched his 12th home run of the season into the left field seats in the fourth inning. McGriff had three hits, including his 26th home run of the season, and collected three RBIs. During the Braves’ torrid second half, the team as a whole played well. However, David Justice and Chipper Jones, in particular, hit the cover off of the baseball. Justice hit most of his 24 home runs for the season after the All-Star break, including two in a game in August against Houston. Rookie Chipper Jones played beyond his years in the second half. He batted .282, hit 10 home runs and drove in 39 runs. Jones certainly benefitted hitting third in the batting order before Fred McGriff and Justice. Jones saw more fastballs from pitchers eager to keep him off the base paths before facing the veteran sluggers. Javier Lopez, McGriff and Marquis Grissom also played key roles for the Braves. Lopez, in only his second season in Atlanta, handled most of the catching duties and swung a consistent bat. He hit .315, becoming the first Braves catcher to hit over .300 since Joe Torre in 1966. Six of his 14 home runs came from the seventh inning on. Lopez also batted .359 with runners in scoring position. McGriff led the Braves with 27 home runs, eight of those from the seventh inning on, and 93 RBIs. Grissom played center field and did not make an error the last 91 games of the season. He led Atlanta with 29 stolen bases; had a 14-game hitting streak, the longest streak by a Brave in 1995; and twice led off games with a home run. While Justice, Jones, Lopez, McGriff and Grissom provided the run support, the Brave pitching staff shut down the opposition. Tom Glavine and Maddux provided a potent one-two, righty- lefty combination, while Mark Wohlers thrived in the closer role. Maddux posted a 19-2 record with an ERA of 1.63. He became the first major league pitcher since Walter Johnson in 1918-1919 to have an ERA of less than 1.70 in two consecutive seasons. Glavine won 16 games and notched his 1,000th strike out in an August game against Houston. From June to the end of the season, Wohlers converted 19 straight save opportunities and tallied 25 total saves. He pitched a team-high 22.1 consecutive scoreless innings; struck out a career-best 90 batters; walked just 24; and held opponents to a .211 batting average, right-handed batters hit only .191. With a potent offense and over-powering pitching, Atlanta finished the regular season 90-54. Over 2.5 million fans entered the turnstiles of Atlanta-Fulton County stadium and the Braves finished 21 games ahead of the New York Mets and the Philadelphia Phillies in the National League East Division. Millions more watched the Braves on television or listened on the radio as broadcasters Skip Caray, Pete Van Wieren, Don Sutton, and Joe Simpson detailed every one of the dozens of highlights the Braves generated during that magical season. The fans, for the most part, had forgiven Braves players and management for the strike. Those fans still harboring ill feelings would soon find their anger replaced with utter euphoria as the Braves would win 11 playoff games to bring home a championship. Up next, the National League Division Series against the feisty Rockies.